Avis Budget Group, Inc. has announced that its Ultimate Test Drive program, the company's car sales program, now accepts trade-in vehicles. 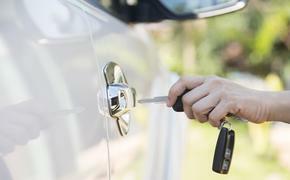 Potential buyers receive a “personal auto consultant” via AutoNation Direct, who can answer questions about financing and available warranties and collect personal vehicle information to provide buyers with fair market value on trade-in vehicles. This value can then be applied toward the new vehicle purchase. Ultimate Test Drive is available in Arizona, California, Colorado, Florida, Nevada, New Jersey and Texas. The program features more than 75 makes and models. The Ultimate Test Drives are free of charge for two hours or can be as long as three days for a nominal rental fee. If the customer decides to purchase the vehicle, the base rental fee will be refunded after the purchase is completed.